As someone who loves to prove that healthy food doesn’t have to be boring (or expensive), I’m all about making nutritious treats. Let’s just say my sweet tooth is definitely alive and well. Thankfully, it only acts up every now and then, but when it does, the craving is real. But that’s where healthy desserts come in, of course! 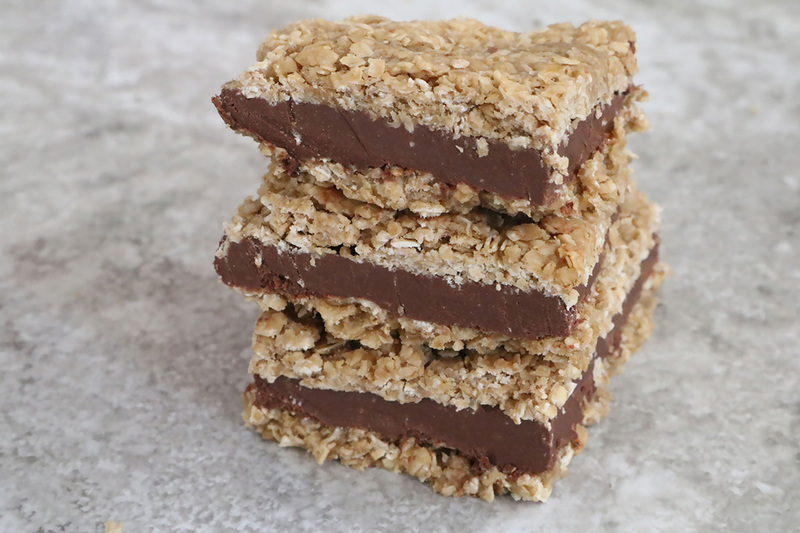 I recently made these fudgy layered oatmeal bars with Cocoa Mocha flour from Nature’s Earthly Choice. And yes, you read that right… cocoa and mocha. It’s basically a dream come true for lovers of chocolate and coffee. The Cocoa Mocha flour is also packed with fiber and protein, so you can’t go wrong with that. Here’s how to make this addicting treat. 1. Combine the oats and milk in a small pot. Cook over low heat for 2 to 3 minutes, then add honey, nut or seed butter, vanilla, and cinnamon. Stir until the oats are evenly coated. 2. Line a deep baking pan with greased tin foil. Press half the oat mixture into an even layer, then pop in the freezer for 20 minutes or until set. 3. Meanwhile, in a small pot, mix the dark chocolate chips and coconut oil over low heat. Once melted, add the cocoa mocha, honey, and vanilla extract. Mix well. 4. Pour the liquid chocolate over the oat layer. Place in the freezer for 30 minutes or until the fudge has hardened. Learn more about Nature’s Earthly Choice’s Cocoa Mocha at their website. There, you can also check out more Cocoa Mocha recipes, created by yours truly!